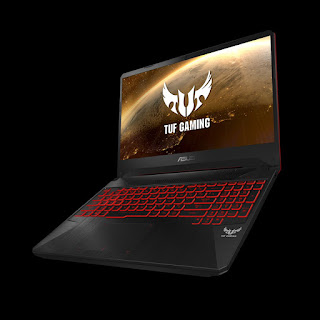 ASUS announced TUF Gaming FX505DY and FX705DY, a pair of gaming laptops powered by the latest AMD® Ryzen 5 3550H processor, with upto 32GB of RAM, and a range of storage options. Matching the impactful processor is the discrete Radeon graphics with Slim bezels frame the NanoEdge displays to further enhance immersion and shrink the overall footprint while the reinforced chassis help the machines survive everyday life. Intelligently designed and carefully built, FX505DY and FX705DY balance performance, battery life, and affordability to provide a better gaming experience.